You probably have heard of people making their own dog treats or biscuits for their beloved furry friends. However, you don’t hear people actually making their meals every day for them. Until now! Homemade dog food doesn’t have to be a challenge, extra expense, or unhealthy for your dog. It can be just the opposite. Let’s see why you would want to make your own dog food, the health benefits, and check out how easy it really is. There are a number of reasons to switch from traditional kibble to homemade dog food. Think of it like you would for yourself. You can live off of the same meal every day but without variety, are you getting all the nutrition you actually need? 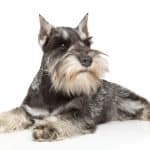 Dog’s eating the same kibble every day throughout their entire life may get bored with their food or lack in some serious nutrition. Homemade dog food offers variety, a higher quality, and a more rounded approach to nutrition for your dog. I like the ability to tailor the food to your pet and their needs that week, day, month, year, etc. For instance, if your dog suffers from gastrointestinal issues, allergies, skin sensitivities, or any kind of disease really, homemade dog food is a great option! You can be sure they are getting the exact nutrients they need and not worry about all the extra fillers, chemicals, and ingredients you can’t pronounce on their kibble. Finally, dogs weren’t put on this earth eating kibble my dog-loving friend. Wild dogs forage and hunt. They eat meats and plants and the like. I’m not suggesting you let your dog go hunt down a wildebeest, but keeping in mind the diet of their ancestors isn’t such a bad idea, either. I think we can agree that not everything homemade is nutritious. So, that being said, what do we need to make sure your dog gets in order for this new food to be healthy for them? Let’s take a look at the building blocks we need to be aware of before we hit the kitchen. As you can see, you can’t just hand them a steak and hope for the best. They do need some other components to have a well rounded nutritious diet. Keep that in mind when you start combing through different recipes. Also, I would always highly recommend checking in with your vet before starting a new diet with your dog. 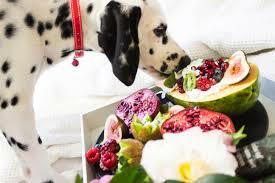 While I’m all about natural food for Fido, there are some things that you definitely do NOT want to feed your dog. Keep away from these if they are in recipes and try not to let them get any scraps of these food varieties either. Keep in mind, there are more things that dogs probably shouldn’t have however these are the worst ones. I like this recipe because it is simple, fast, and high in nutrition for your dog. I don’t think you need to spend this amount of money on every meal, but I definitely think this is a nice treat every couple of weeks or so. This recipe comes from our friends over at The Dog Bakery. Cut broccoli stem, peel carrots and cut squash. Keep the peelings as this is for your dog. Mix together and steam in a rice cooker or bake in the oven. Air fry potato shavings after pouring in 1 tablespoon olive oil in air fryer (or place in oven). Pan fry salmon in 1 tablespoon olive oil with skin on. Start with skin side down on the pan at a medium temp. After flipping, pull off crisp salmon skin off both pieces of salmon and place in the dog bowl. Once everything is finished cooking mix all together in the dog bowl. Chop to small bite size for ease and a cleaner floor! LET COOL! That’s probably the most important step. Alright, I get it. Cooking for your dog if you are already low on time seems like a huge hassle. I thought that, too. However, the nutrition benefits are huge! 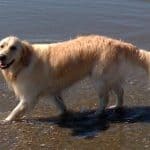 We saw a significant change in our golden retriever after switching from kibble to real food. His coat was brighter, eyes more alert, and gastrointestinal health was excellent. Now, if you really don’t like cooking and the thought turns you off of following through, there are other options. There are more and more companies coming out that can mail you either fresh or frozen whole dog food. I think that’s a great option if you can afford it! If not, I would highly recommend batch cooking. Prepare a large amount of a certain meal and then portion it out and freeze. That way you can just take their meals out for the week and not have to worry about cooking every night for you AND your dog. Finally, there is also the option of doing the raw food diet. 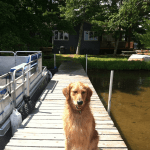 We have tried with our dogs and found that it takes some acclimation and the younger you start them the better. 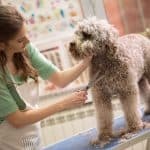 While it isn’t always vet approved, it doesn’t hurt to check in with your vet to see if your dog would be a candidate for this. This completely takes the cooking out of homemade dog food! Finding the right diet for your dog shouldn’t be just picking a bag of dried brown pebbles off the shelf. Just like you have probably changed your diet, and changed it again, the same goes for your dog. While it may be a little more leg work and potentially cost a little more, you can make a smart transition to homemade dog food without much stress. Think about your dog and their life. It’s already too short as is. If you can make sure they stay healthier for longer, both of you will be full of gratitude. We switched to homemade dog food and couldn’t be happier. Our dog doesn’t complain much either. 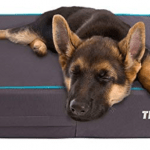 Speaking of chewing and keeping your dog happy, you can also try a chew proof dog bed for a better nights sleep.